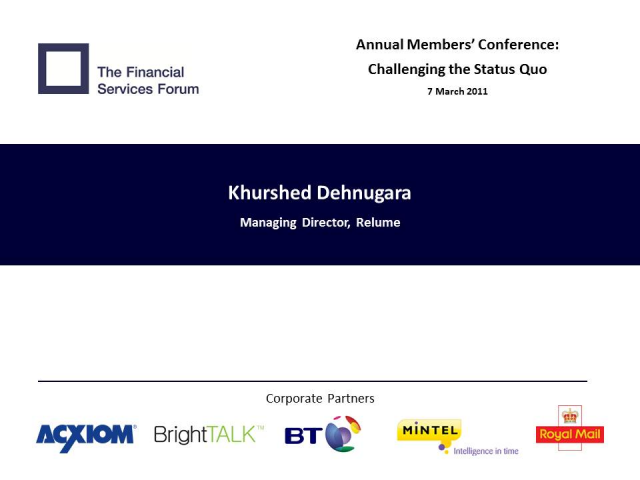 Khurshed shares recent research into challenger organisations, due to be published in June 2011. These challengers consistently found a way to close the gap between their big ambitions and their limited resources. Khurshed has an unusual combination of business acumen and psychological training. He is a highly experienced coach who brings leadership and strategy together for senior leaders in a challenging and collaborative way. He has a deep interest in the ability of organisational leaders to challenge the status quo and work with the inevitable anxiety this creates, in large businesses that are designed for stability rather than significant change.